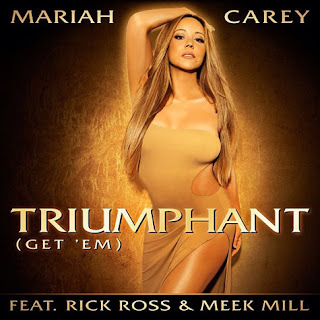 A couple weeks back, I blogged about Mariah Carey releasing a new song after so long and now the video is here. I feel as if it's Meek Mill and Rick Ross featuring Mariah Carey though. And the video seems like one that I've seen from her before. And her dressing *sigh* I can't win with Mariah! Get 'Em with Mariah and the MMG Boys in the new Nick Cannon Directed video!